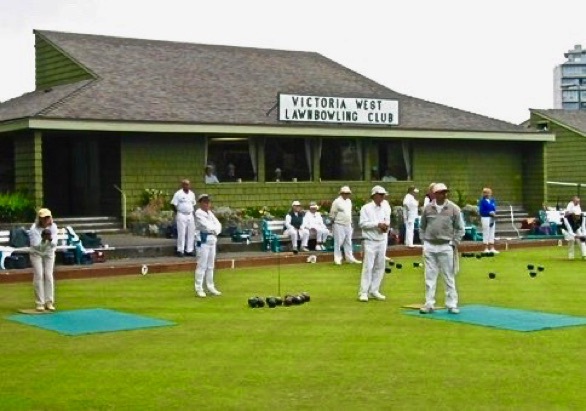 The Victoria West Lawn Bowling Club was established 88 years ago to provide the opportunity in the community to play the sport of lawn bowling, a sport pursued by people of all ages and abilities for the fresh air, exercise and social involvement it provides. Members are mainly seniors. Over the years as the community has evolved and continues to do so, so has the club. It continues to be a thriving lawn bowling club but is now providing additional opportunities for social involvement. In addition to lawn bowling the club now has Social memberships and drop-in opportunities to participate in a wide range of activities, year round including Bridge, rummoli, mah jongg, scrabble, darts, shuffleboard, table tennis, short mat bowling, barbecues and pot luck dinners. Various community groups book the facility for meetings and social functions. The club also provides opportunities for volunteering in various capacity such as gardening, baking, coordinating an event. Most club volunteers are seniors but the club also seeks the involvement of the disabled in our programs and has taken the necessary steps to make the outside patio and bowling green accessible as well as the clubhouse.